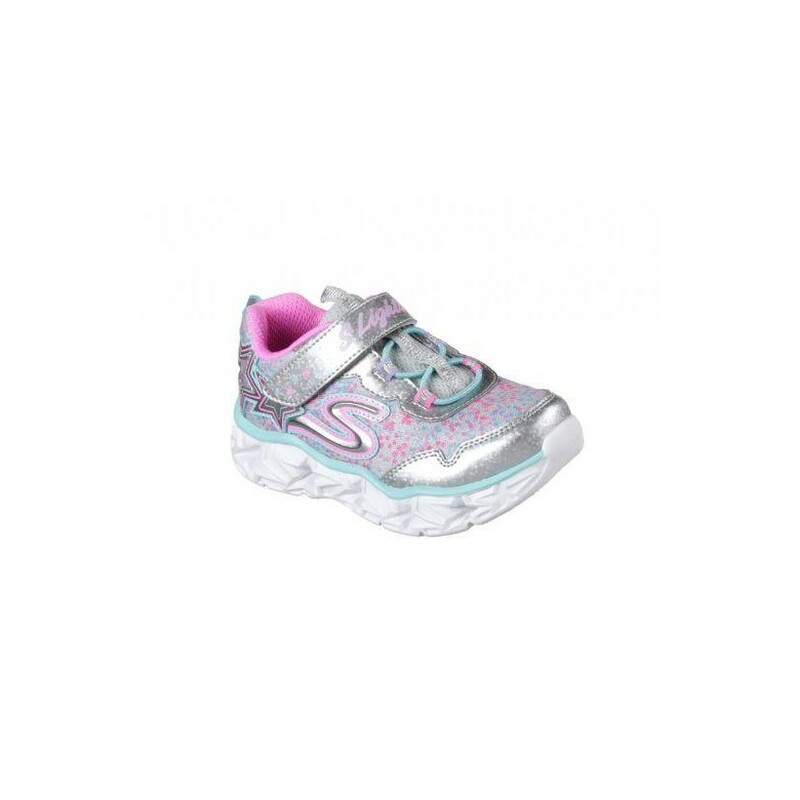 Wish on a shooting star with fun light up style in the Skechers S Lights: Galaxy Lights shoe. 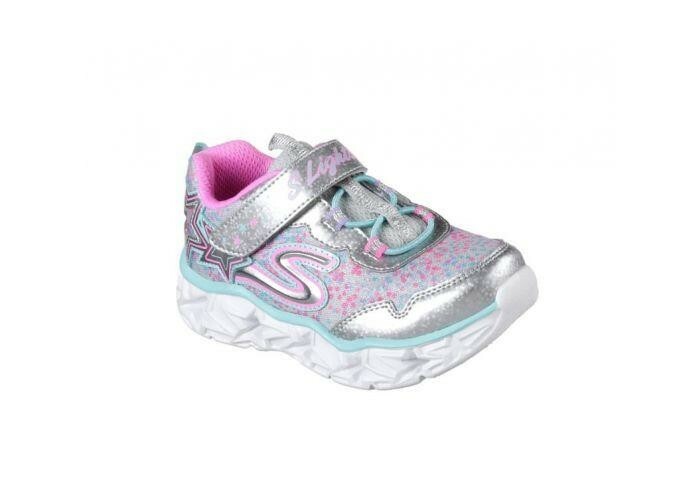 Wish on a shooting star with fun light up style in the Skechers S Lights: Galaxy Lights shoe. Athletic mesh fabric and smooth synthetic upper in a slip on bungee laced light up sporty sneaker with multi colour star light up midsole.